Matt– I love the idea. 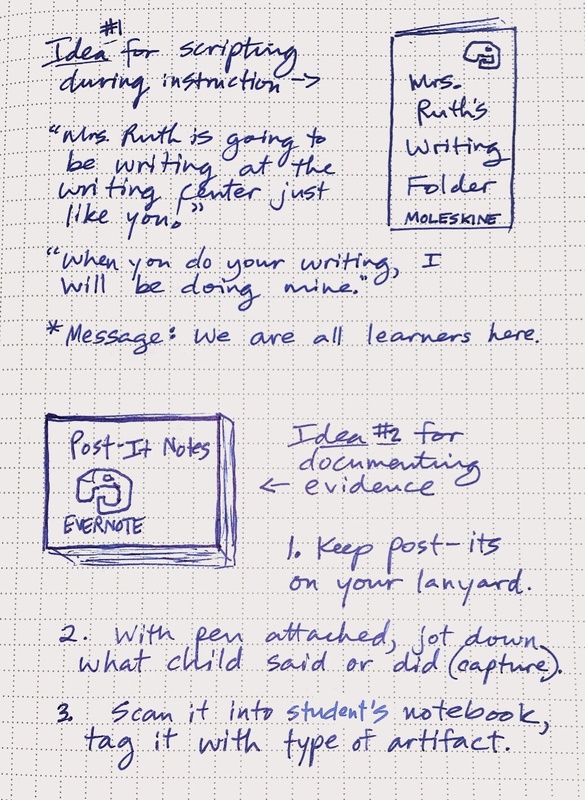 On the Post-it Notes– do you put the notes on whatever the learning artifact is and scan them both in, or is it only the notes themselves that go in? Hi Jeff. My thinking is that only the content on the notes would be scanned in. If it is an actual artifact, such as student writing, you would use the Document setting when scanning it into Evernote. There are also Smart Stickers for the Moleskine Evernote notebooks. When Evernote “reads” the document with a certain color sticker, it puts that document into a preassigned notebook. It can be a time saver, although I have found that Evernote doesn’t always remember what notebook you assigned each sticker to (ironic, right?). You have such a good handle on the way to move from Post-Its and Moleskin into Evernote. I’m still trying wrap my head around all of it. I’d like to see all of this in action. 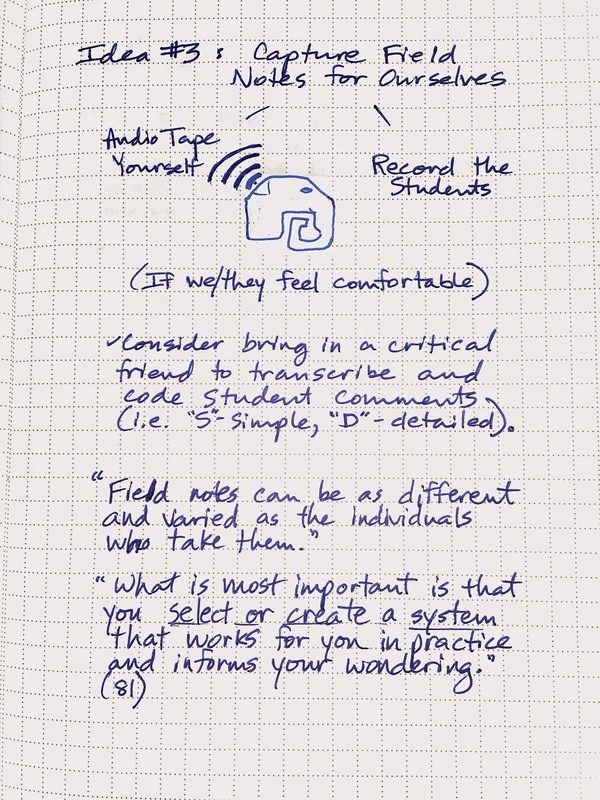 You’ve made some interesting points when considering using Evernote for action research. I’m wondering how this would go if I chose a question(s) at the beginning of the year and tagged notes that would relate for later synthesis. Scripting dialogue can be time-consuming. I’m thinking there has to be an app that would do that quickly as you sit beside a student. Maybe? Right now, my Evernote application has basically two years worth of information. I really need to clean it out. I know I would like to keep some things: examples of student work to use as mentors, notes which reflect important shifts, snippets of work that create a picture of the work done in the classroom. Where to begin? For scripting dialogue, I am wondering if you would be able to invite a colleague into your classroom and script? They could type up the dialogue occurring within Evernote, while also recording audio in case they miss anything. Wow, two years worth of data. I am jealous! I just started collected my teachers’ learning artifacts this year within Evernote. You have an amazing opportunity to develop some baseline understandings about your students with all of this data. Going back to your initial question, what if your current wondering and subquestions (based on your passions and classroom setting) drove your research? Through this lens, you could organize your data around these themes. You would have a clear understanding of your school’s and students’ current reality as you move forward.